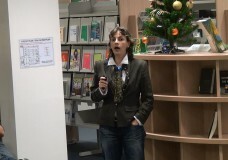 December 9, 2014) Cosmina Tanasoiu talks about one of the essential elements of the modern popular culture – superheroes. 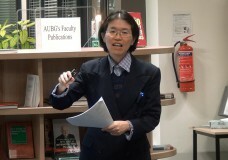 Starting with the philosophical concept and the history of superheroes and then moving to their ideological and sociological context, she explains why politics and superheroes are closely tied together. 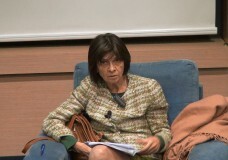 Cosmina Tanasoiu is a Associate Professor in the Politics and European Studies department at AUBG. 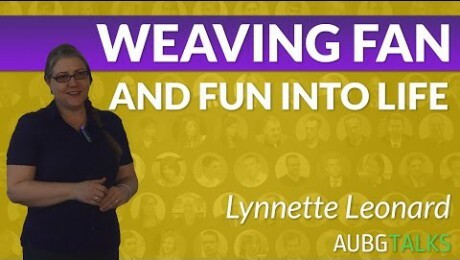 (March 26, 2015) Dr. Lynnette Leonard talks about how comic books reflect real life and help people to understand the world in a different way. 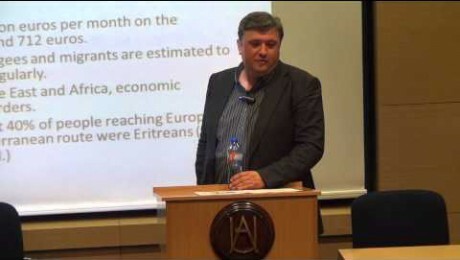 The speaker is Associate Professor and Head of the Department of Journalism and Mass Communication at the American University in Bulgaria. 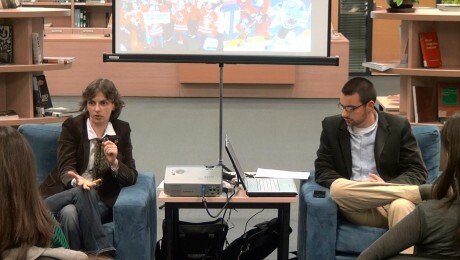 (November 14, 2014) Elena Poptodorova talks about the American engagement in Bulgaria and the strong relationship between the two countries. 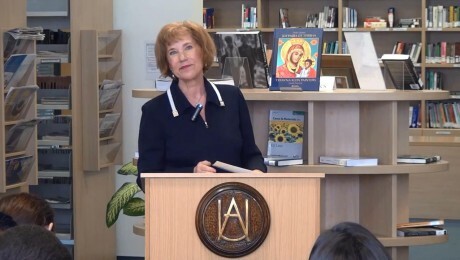 Elena Poptodorova is the ambassador of the Republic of Bulgaria to the United States of America. 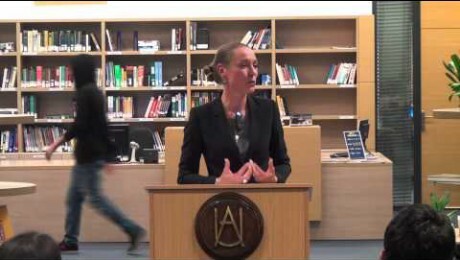 Marije Cornelissen – What’s Next for the European Union? Marije Cornelissen presents her vision about the probable development of the main body of the European Union in the next five years. 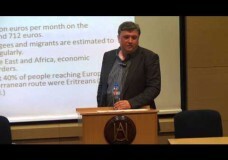 Yavor Siderov gives a lecture on the issue of rising number of migrants and refugees in Bulgaria. He talks about the importance of integration of refugees and how this can be achieved through changes in their status, placement and cultural integration. 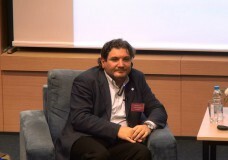 (November 5, 2014) Emanuele Recchia talks about the bank’s approach of finding and developing the talents of their employees. 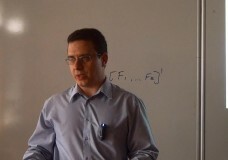 (October 13, 2014) Boris Goncharov gives an lecture on cryptography and steganography, showing why these two are important in the computer science field. 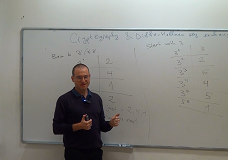 He talks about the applications and use of cryptography, key management processes, information hiding alternatives such as steganography and watermarking, etc. 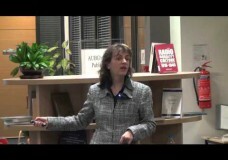 (October 6, 2014) Albena Spasova gives a lecture on the dark side of technologies. 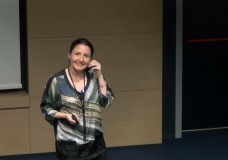 She talks about the fraud schemes and internet crime evolution such as traditional and dynamic phishing, botnets, new tools for organized crime groups, etc. 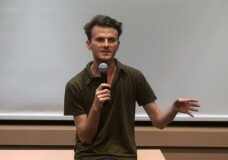 (March 12, 2014) Kamen Kanev proposes different models of interaction between humans and computers in an augmented world. 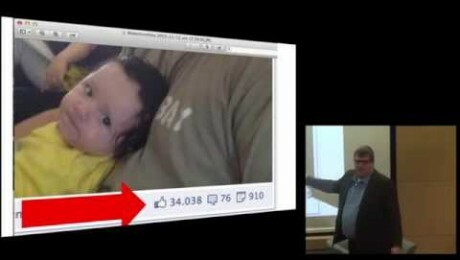 Watch to learn about exciting HCI examples, including a Robocop-style outfit for policemen and others. 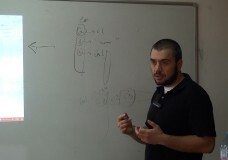 (October 2, 2014) Stanislav Gatsev talks about the client-server communication and stresses on the more important parts of the application development. 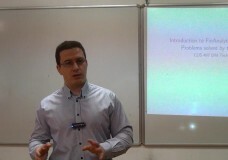 This talk is part of the Mobile Computing course at AUBG. 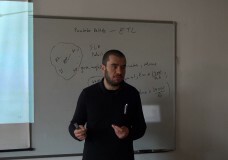 (September 30, 2014) Stanisav Gatsev gives an lecture on multithreading in Android. 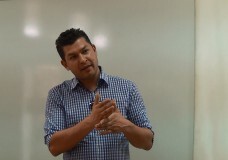 He shows some basic steps for developing an Android application. 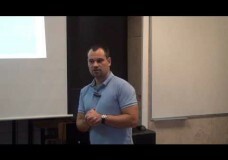 This talk is part of the Mobile Computing course at AUBG. 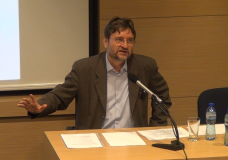 (September 29, 2014) Velizar Shalamanov gives a speech about the aspects of regional cooperation and the implications for the security of Southeast Europe. 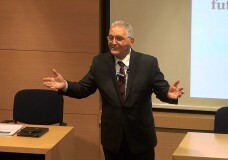 Velizar Shalamanov is the interim Minister of Defense in Bulgaria. 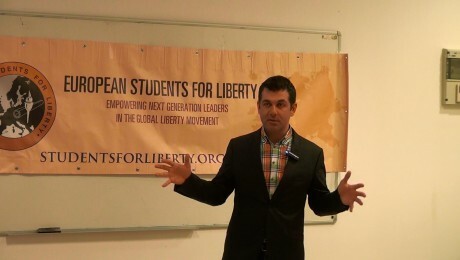 Iliya Lingorski – The Triumph of Geopolitics Over Freedom? 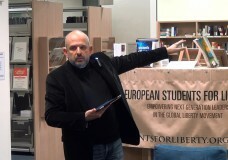 (December 3, 2013) Marco Arndt talks about dealing with communist dictatorship in Germany and Bulgaria. 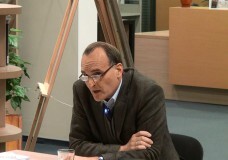 He draws the parallels between the two countries regarding the process of de-communization. 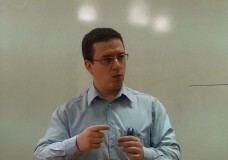 (November 13, 2013) Alexandar Vasilev gives an lecture on the Solow Model, a fundamental method implemented both in Economics and Mathematics. 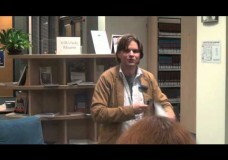 (March 18, 2014) Cristofer Scarboro talks about Communism and the reasons why it collapsed. 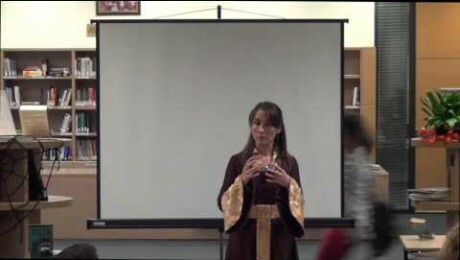 Theodora Dragostinova – Culture for the Masses? 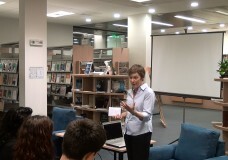 (April 15, 2014) Theodora Dragostinova gives a talk on the contradictory logic of Bulgarian cultural diplomacy in the 1970s and 1980s. 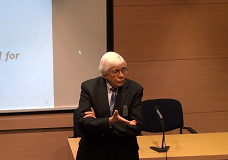 Ken Heather – What is a Fair Distribution of Income? 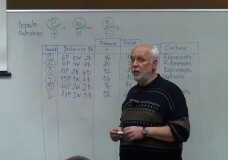 Ken Heather gives a lecture on fair distribution of income, a topic that seems to be of great interest for everybody. 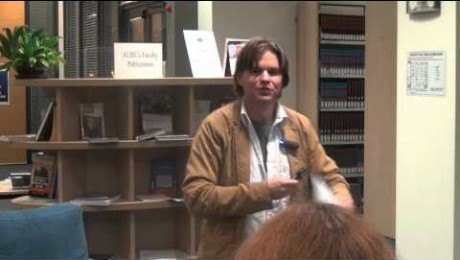 He discusses issues related to fairness, justice, taxes and people awareness. 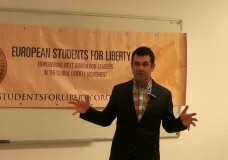 (October 16, 2013) Michael Davidson discusses international relations and how they really work in reality. 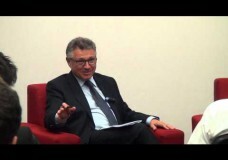 He also talks about the people involved in the practical application of diplomacy and the way they take decisions. 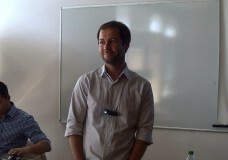 Alex Belokapov works at Commetric, CommEq and FidEq. He talks about the more technical side of media mining. 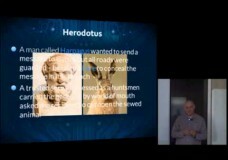 He explains how and why they are using data mining techniques. 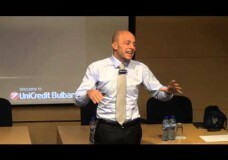 Spyros Garyfallos, CEO at Commetric, talks about media mining. 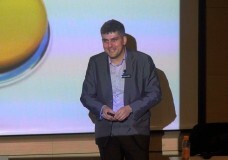 He gives an introduction to Commetric and presetns the business aspect of their operations. 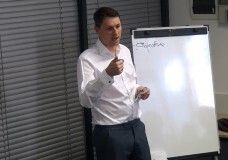 Metodi Nikolov, Senior Quantitative Analyst at FinAnalytica, talks about the Cognity Risk Management System. 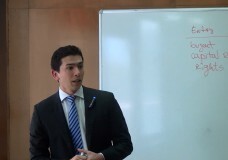 (April 2, 2014) Metodi Nikolov, Senior Quantitative Analyst at FinAnalytica, talks about the probability models that a given financial data series follows. 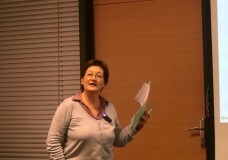 The speaker gives information about the kinds of outcomes and answers that can be gotten from the data. 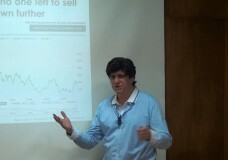 (March 26, 2014) Metodi Nikolov, Senior Quantitative Analyst at FinAnalytica, talks about financial data – stocks, bonds, funds, interest. He gives information about the instruments, from which data that is modeled, that are usually extracted. 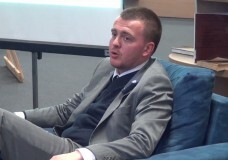 (March 26, 2014) Metodi Nikolov is a Senior Quantitative Analyst at FinAnalytica. 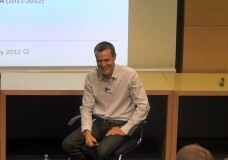 He talks about risk management and the way they deal with it at FinAnalytica in building their software, called Cognity. 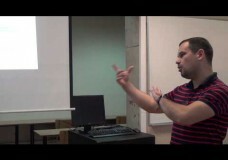 Rado Nikolov, CTO at Transmetrics, shows how to use R, an open-source software for statistical computing, to work with data. 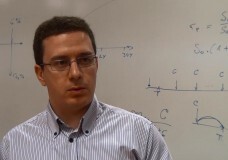 Rado Nikolov, CTO at Transmetrics, talks about the Hidden Markov Model in details that is used to predict future volume distribution. 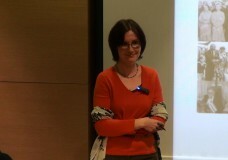 The speaker shows how the forward and backward algorithms work. 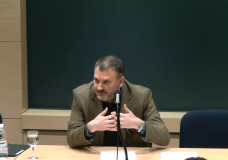 (March 12, 2014) Rado Nikolov is a CTO of Transmetrics. 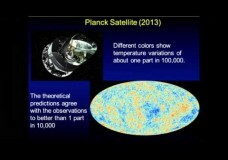 The problem that the company is trying to solve is that more than half of the capacity is unused. 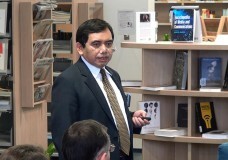 The speaker talks about Transmetrics’ solution for Agility and the use of the Hidden Markov Model to predict future volume distribution. 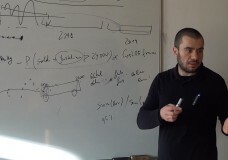 (March 12, 2014) Rado Nikolov is a CTO of Transmetrics, a startup company, trying to bring big data and predictive analytics into the world of cargo transport. 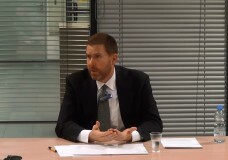 He says that the problem of this industry is that half of the money spent are spent on transporting empty space. 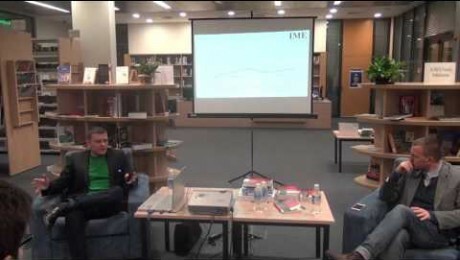 (March 25, 2014) Maxim Behar talks about the social media chaos and how it influences and changes the world and people in it. 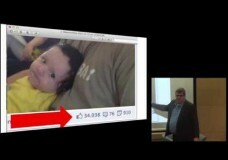 He gives the three major points which creates this chaos, compares the old traditional media with the new one, and suggests how people should behave in the social media chaos nowadays. 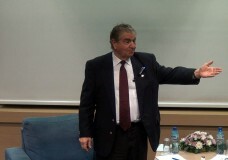 (January 28, 2014) Boyko Vassilev is the former director of BNT News and former war correspondent. 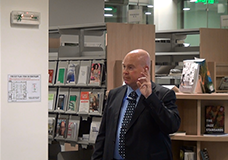 He talks about the media and global conspiracy in the Balkans, touching interesting topics in the field of journalism such as the truth of media, television, etc. 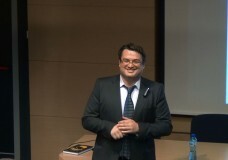 (April 22, 2013) AUBG alumnus Martin Milev has been working as an investment professional for the last 3 years at Oriens Ltd, Danube Fund. 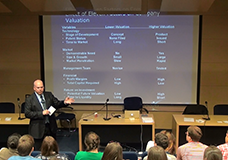 In this video, Martin Milev gives a short lecture on private equity deal structures for Professor Miroslav Mateev’s Company Valuation course. (October 16, 2013) Participants in the Summer Entrepreneurship Program 2013 share their takeaways from their intense 5-week hands-on entrepreneurship training in the United States. 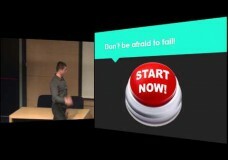 Watch Kristiyan Dimitrov and Teodor Dimitrov share their view on starting a business and succeeding, and then pitch their teams’ ideas in front of the audience. 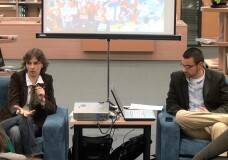 Elizabeth Crighton – Whither the Arab Spring? 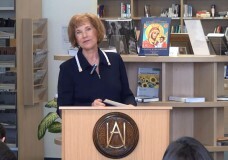 (September 17, 2013) Elizabeth Crighton, Professor of Government and Politics at Pomona College, talks about the failure of the revolutions across the Middle East and North Africa to deliver on their promises. 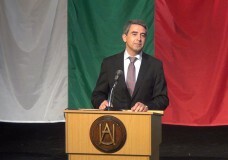 Rosen Plevneliev – A Better Future: Who Needs to Take the Initiative? 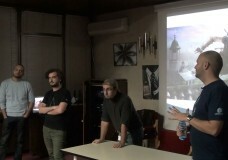 (April 9, 2013) Two Bulgarian economics analysts from the Institute for Market Economics delivered a lecture on the costs of EU membership. 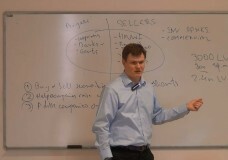 (April 10, 2013) The Country Supply Chain Manager of Coca-Cola Hellenic Bulgaria Christoph Speck talks about internship and employment opportunities for graduates. 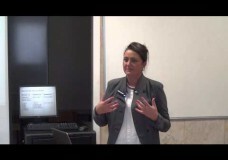 To find out how to present yourself on a job interview and what it takes to be successful in business, watch this video recorded and produced by AUBGTalks team. 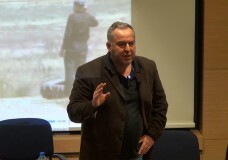 (March 11, 2013) Award-winning Israeli historian and novelist Michael Bar-Zohar visits the American University in Bulgaria and recounts the amazing story of how Bulgaria’s Jews were saved during World War II. 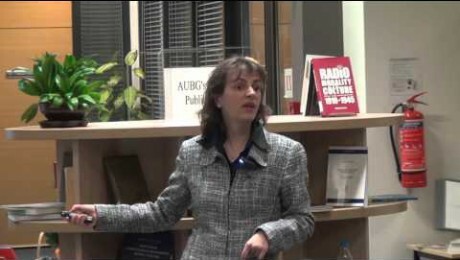 (October 15, 2012) 100 years after the beginning of the Balkan Wars, Professor Rositsa Gradeva talks about their political and economic consequences for Bulgaria, Greece, Serbia, and other affected nations. 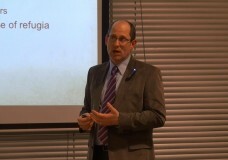 (January 22, 2013) University of Iowa Law Professor Brian Farrell visited AUBG and gave a talk on the role of international law in securing peace and human rights, especially in the aftermath of World War II. 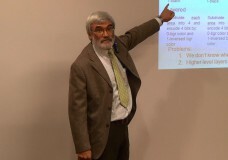 (November 26, 2012) AUBG Professor Kaloyan Slavov gives an inspiring explanation of the basic concepts of cryptography and elaborates on Diffie-Hellman key exchange. 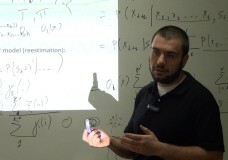 Professor Slavov has graduated from Harvard and MIT is currently an Adjunct Assistant Professor of Mathematics at the American University in Bulgaria. 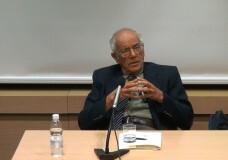 (April 18, 2012) The recipient of numerous awards, Professor Clifford Christians currently serves on the editorial boards of a dozen academic journals and is Professor Emeritus of Communications, Media Studies and Journalism at the University of Illinois. 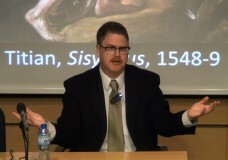 In this lecture, Professor Christians discusses ethics in the age of global media. 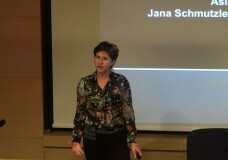 Veneta Andonova – The Internet and Education: What is the Future? 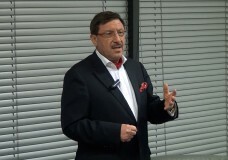 (February 6, 2013) Macedonian businessman Svetozar Janevski talks about the importance of investment in human capital and the advantages of long-term goals over short-term gains. 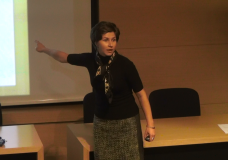 (January 26, 2013) At this inaugural OpenCoffee Blagoevgrad meeting, StartUP founder Polina Yancheva talks about the Foundation and about her entrepreneurial experience. Dilyan Dimitrov from Eleven Venture Fund follows up with interesting details about their acceleration program for young and talented startups. 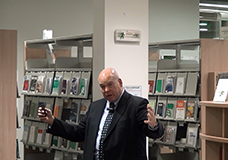 (October 24, 2012) In this talk, Professor Mark Harris highlights why innovation and the business plan are essential for entrepreneurs. Professor Harris is a seasoned executive in the IT industry. 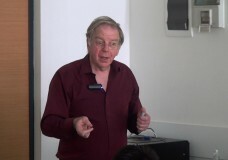 Having recently retired from Intel, Professor Harris founded InnovaVentures to follow his passion for entrepreneurship and new venture creation. 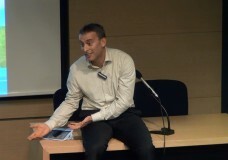 (October 23, 2012) During this second from a series of three lectures, Mark Harris discusses how young entrepreneurs can find growth capital and how they can recognize business opportunities. 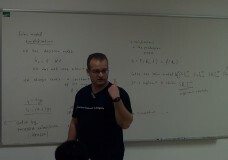 Professor Harris is a seasoned executive in the IT industry. 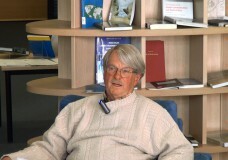 Having recently retired from Intel, Professor Harris founded InnovaVentures to follow his passion for entrepreneurship and new venture creation. 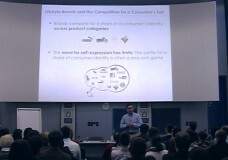 (October 22, 2012) Professor Mark Harris opens this series of three lectures with a talk on entrepreneurship and the art of creating a new business. 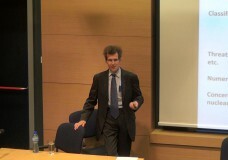 Professor Harris is a seasoned executive in the IT industry. 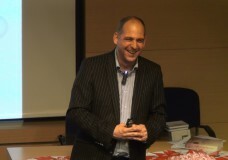 Having recently retired from Intel, Professor Harris founded InnovaVentures to follow his passion for entrepreneurship and new venture creation. 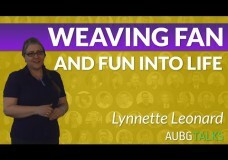 Copyright © 2019 AUBGTalks. All Rights Reserved.